Discussion in 'Events and Activities' started by Marla Burns, Oct 19, 2012. 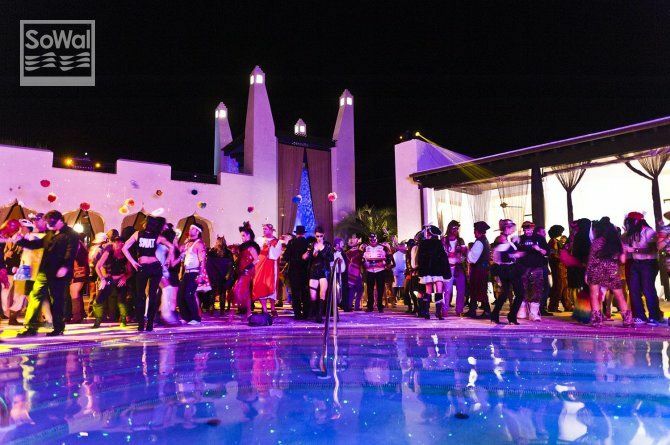 Have a thrilling time at Alys Beach's Noche de los Muertos or "Night of the Dead" adult costume party and dance. "DJ G-Funk" will headline the event known for amazing costumes and awesome music, featuring a $1000 cash prize for Best Costume. Noche de los Muertos costume party will be held at Caliza Pool, rain or shine, from 8:00pm until 11:30pm on Saturday, October 27, 2012. Bars accepting cash and credit will be available and costumes are required. The party is for guests ages 21 and older. Party tickets can be purchased for $45 online at www.nochedelosmuertos.com through midnight of Friday, October 26, or at Fonville Press in Alys Beach through 3:00pm on Friday, October 26. After that, tickets are only available at the door for $55 each. A portion of the proceeds will benefit Children's Volunteer Health Network. Have you been to Noche? Noche de los Muertos gets more fun, more creative, and more thrilling every year. It's a SoWal Halloween tradition that has to be seen and felt to be believed.